Last Wednesday I posted a pattern for the Texas State Flag Kawaii Cuddler. 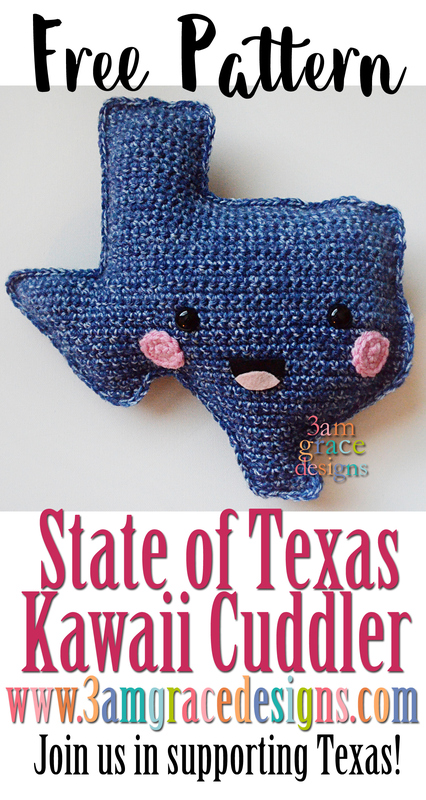 This week I’m sharing a Kawaii Cuddler in the shape of the State of Texas! You are welcome to send these Kawaii Cuddlers to Elizabeth Dewett to hand out to children in Texas as well. “By now, we’ve all seen and heard the news from Texas. Our hearts break as we listen to those losing their lives and homes to the hurricane damage. On Friday, one of my sweet pattern testers reached out and asked if I’d be willing to create a design for Texas. Absolutely! One thing I’m certain of in the crafty community — we rally to put our hooks in motion for the greater good. Below you will find a free pattern for the Texas State Flag Kawaii Cuddler. I will be shipping my finished flag to Elizabeth so she can pass them out to children in need. This isn’t a random effort — This isn’t blindly sending items in the hope they reach the people that need them. This is Elizabeth and her own children personally handing them out at churches and organizations where they are valued and appreciated. 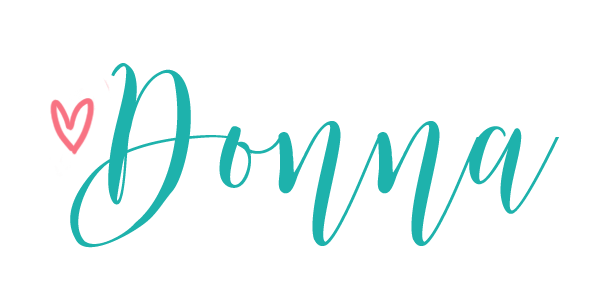 Also, if you wish to purchase the ad-free version of our pattern – 100% of the proceeds will go to agencies helping the hurricane victims. *Worsted Weight Yarn in desired color for your Texas State shape. * Place safety eyes between rows 25 & 26 from the bottom roughly 14 stitches apart. * Cut felt pieces to create desired mouth. Sew or glue into place. * Align state shape halves so ends of rows match. Single crochet around both pieces to join together. This is awesome! I will be buying your pattern and putting my own spin on it to sell and donate the profit to hurricane relief. Thanks for the pattern! You’re very welcome! I’d love to see your finished cuddlers! Post them in our Facebook group or feel free to email me. ? Since I have the free pattern, I will be crocheting a bunch of these up to hand out. I live in Texas as well (Montgomery/Magnolia/Woodlands area), and our whole neighborhood was flooded out. I think these will brighten quite a few of my neighbors faces. Thank you so much! That warms my heat, Kay. Thanks so much for sharing! Could you tell me about how big this adorable pillow is using the hook and yarn you suggested? Hi Ember! Mine turned out 11″ x 11″ at the widest points. Hope that helps! This is so adorable. Thank you for sharing the pattern. I can’t wait to make this my couch. We moved to Texas from California 8 years ago and I was wondering if you have or have plans to create a pattern for California? I’d really love one for my couch as well. Just a thought. Again thank you for sharing. I love all you cuddlers. So glad you like it. Yes, we have plans to do all 50 States!